If you ask any sales professional, they will tell you that their number one challenge when dealing with all the technology tools is simply keeping track of it all. Staying on top of all the trends and developments, recognizing which tools should be kept and which ones discarded and, ultimately, which ones can really supercharge the sales routine. Most sales people don’t like change as change means disturbing a daily routine that they have spent years perfecting and, anyway, why would you want to use new software if the old one works just fine? However, as a progressive salesperson, you need to be open to change and willing to embrace technology that helps you to become more productive. The number one challenge for any sales leader is convincing your team to work smarter by utilizing new tools that are there to help them, not to slow them down! Each manager finds their own ways of introducing new tools and software into the sales process, but I prefer to have experience-sharing sessions once in a while, where the entire team gives their opinions and feedback on most the useful technology tools. The world of new technology is like the sky: you might look at it every day but it will never look 100% the same as the day before. 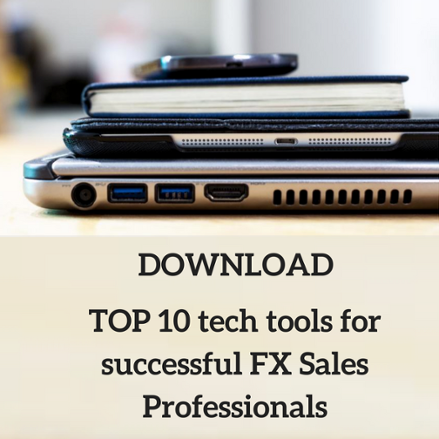 But looking at the current “sky”, I would like to share a list of, what I believe, are the top five tools and applications that will make your life as FX sales professional easier and more efficient. This is just a shortlist but, if you are interested in learning more, feel free to contact me or download the extended list of the top ten recommended tools for a progressive sales rep. I should add that this list is most useful for sales professionals working in B2B space. A powerful tool that, in my opinion, many sales people are underutilizing. One of the key ingredients in a successful sale is time, you need to get the timing right. Adding your prospect name on “Google Alert” will give you an advantage where time is concerned. You will know when the moment is right to strike once you see news about your prospect hitting the headlines. Whatsapp is a great smartphone application and everyone seems to use it, but you can’t seriously be having your sales chats and lengthy sales pitches on your phone. Access Whatsapp from your computer’s web browser and, all of a sudden, you can multitask and become much more productive. Time is valuable when you are in sales and you always need to be focusing more time on sales-generating activities, and less on admin. By using this little add-on to your web browser, you will be able to quickly add people, that you are exchanging emails with, to your LinkedIn and Twitter connections. Reading news is up there on the priority list for the sales professional. 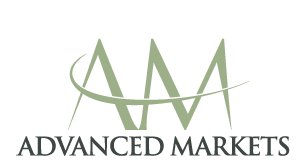 It is vital to know about changes occurring in your industry and to stay on top of market updates. By incorporating Feedly into your daily processes, you can categorize and aggregate all of your news sources and read them from a single interface on your web browser or by using the mobile app. Being involved in the FX markets means that you pretty much work around the clock and across multiple time zones. With daylight savings, Asia, Europe, Australia, etc., setting up meetings and getting there on time can be a nightmare. Timezoneconverter.com is a quick and easy way to find just the perfect time for a call or meeting that works for everyone. I hope you have found these helpful and that you find yourself more productive very soon.